Florists can be fairly straightforward to set up, and some savvy floral entrepreneurs are using the Internet to grow and service new niche outlets. Like other high street traders, florists have experienced some tough times in recent years. For many, the supermarket has become the place to purchase flowers, and it is unlikely that these blooms will have been grown in the home market. Nevertheless, a florist business can be fairly straightforward to set up, and some savvy floral entrepreneurs are using the Internet to grow and service new niche outlets. According to an article in the Guardian, around 90% of cut flowers sold in the UK are from overseas. Two-thirds come from the Netherlands, with the rest from markets including Costa Rica, Kenya, Israel, and Thailand. An NFU report (2016) notes that the value of imports of cut flowers increased almost six-fold from around £122m per annum in1988 to £666m per annum in 2015. IBISWorld statistics reveal that the UK floristry sector employs 20,896 people and supports 14,281 businesses. It is currently anticipated that industry revenues will decrease annually at a compound rate of 1.2% over the next five years. Commenting on the profile of florist enterprises, IBISWorld reports that the industry has a very low level of market share concentration, with the top four business outlets combined securing less than 1% of total industry revenues. The floristry sector tends to specialise in retailing cut flowers, floral arrangements and potted plants. A business traditionally purchases these products from both domestic and international flower growers and wholesalers. These are then sold to the public. Apart from these sales, florists also provide a specialist service for weddings, anniversaries, funerals and a range of other special events. Such activities present opportunities for florists to secure mutual partnerships with caterers and similar service-oriented businesses. Florist businesses with an Internet presence can often access networks and additional business opportunities which are too small, or too specialist, to interest the majority of supermarket sellers. The UK Flower Council’s trend forecast for 2017 reminded florists that, in the modern world, flowers still have a strong role to play in reinforcing our bond with the natural world. Further floral trends that they identified included: incorporating unusual materials in flower arrangements; using bolder and more eye-catching colours – often in quite experimental arrangements; as well as using unconventional combinations in order to create humour, or to add a touch of romance. Elsewhere, modern floral entrepreneurs are now offering superbly crafted fake flowers – which also appeal to those with allergies – and ‘letterbox’ postal deliveries of smaller, hand-packaged blooms sent as barely budding flowers to minimise damage in transit and maximise floral longevity. Supermarket sellers dominate the domestic market, forcing skilled florists to develop more specialist outlets for their products and accumulated expertise. For the foreseeable future, florist businesses will have to focus on premium products such as highly creative arrangements which are hard to emulate. Likewise, with so many flowers imported from abroad, it may be critical for both UK growers and florist retailers to establish alliances which both promote the benefits of ‘buying British’ and also reduce overheads so that these more-exclusive products can be marketed at more competitive prices. 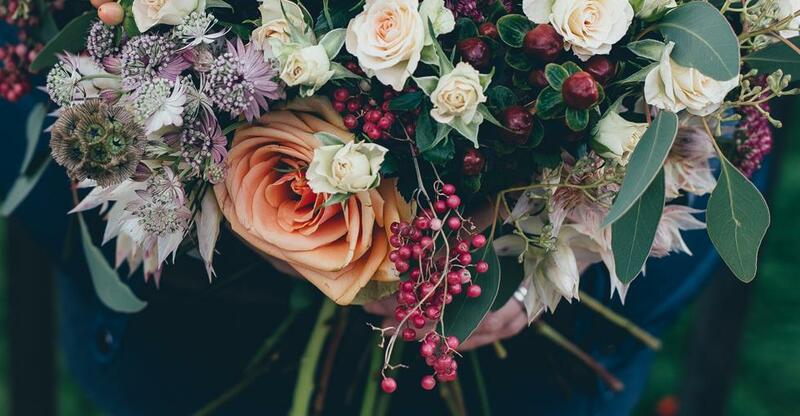 Even though there are relatively few regulations governing floristry, you will still need to register your business name, inform the tax authorities and register for VAT. In addition, you will need business insurances – including public liability insurance – and must ensure your shop premises comply with health and safety legislation. Furthermore, it is likely you will need some form of delivery vehicle, which must also be taxed and insured. Beyond these requirements, if you decide to employ staff you must also comply with employment legislation. And finally, should you diversify into selling from a market stall you will also require a market-trading licence. As a florist, you may have a qualification in horticulture, or perhaps have developed your skills simply through a period of employment within the industry. Whilst you clearly must have a good fundamental knowledge of flowers and plants, there is also the question of flower arrangements. This activity will demand a certain artistic flair, a good knowledge of design principles and an understanding of colour harmony. In addition, you will also need to have mastered the process of wiring and tying flowers and plants and must know all about the ancillary materials used to package and present your work. Buying an existing business will avoid some of the pitfalls of launching a new business from scratch. However, you must research your ‘going concern’ very carefully. You need to ensure that it has the space and facilities you need, or to check that it is located in an area which gives you access to the target markets you hope to attract. Any other seemingly attractive features, such as existing contracts or lucrative links to partner businesses, must also be rigorously investigated in order to establish that you are guaranteed to inherit these benefits when you purchase the enterprise.